Chickens are the most populous bird in the world with an estimated 24 billion birds across the globe…that’s four for every one human. 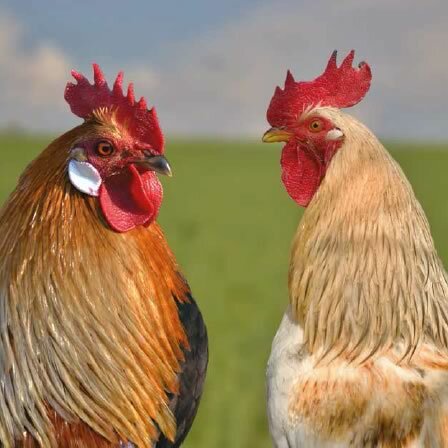 It is believed that chickens originally came from the red jungle fowl found in India and other parts of Asia. Chickens became known in Egypt in the mid-15th century BC as ‘the bird that gives birth every day’, and that primary use of the chicken has remained with them ever since. Our brood contains a mixture of breeds, including hybrids and rare breeds. We try out different varieties but our core group contains Old Bovan Goldlines, Black Copper Morans, Snow White Leghorns, Cream Legbars and Snow White Rangers.